7 Reasons We Don't Listen Jun 04, 2018 Most people will assert that they are good listeners. But do we really listen to each other? Very often, conversations take place while eating, watching TV, dri..
3 Great Apps for Distance Learning Students Aug 09, 2018 Want to know what we think are great apps for students? Here's our list of 3 great free apps to help you with your studies. Oxford English Dict..
Once you have completed the Diploma, you can take further courses and upgrade your qualification accordingly. Two additional courses will extend your qualification to an Advanced Diploma and six extra courses, a Higher Advanced Diploma. We have emailed you a copy of the certificate given on completion. Diploma in Counselling (Care Professionals) course online. Gain a good grounding in counselling and start your own self-employed practice. This diploma is aimed at people working or looking to work in care or health care services. This accredited Level 5 qualification consists of six modules, with meaningful set tasks to help you put what you learn into practice. In the discipline of psychology, the term stress is defined as the state of psycho physiological arousal. It is virtually impossible to discuss psychological stress without describing the psychological state that accompanies it. The dynamics of stress demonstrate the close interaction between mind and the body in human behaviour. Thus, before we discuss stress, let us first briefly take to task the mind body problem. During our everyday conversation, we tend to use the term body for all that is concrete and tangible about ourselves - the shape of our limbs, colour of hair etc. This course will help you to analyse aspects of a person's psychological state and apply derived knowledge to motivate that person. A course that develops your ability to analyse psychological conditions and to apply that knowledge in counselling or advisory situations. Develop an appreciation of how different perceptions of the world can be just as critical as knowledge, skill and opportunity in a person's success or failure. Note: each module in this Diploma is a certificate in its own right, and may be studied separately. Counselling means different things to different people. It is not a 'get well quick' option, offering quick answers, but is asking the person to engage in a process and an exploration. There are many definitions of counselling. A simple version is that counselling is a working relationship where the client is helped to manage what is happening in their life and to explore their life. It is a form of psychological or talking therapy that offers people the ability to change how they live and feel. 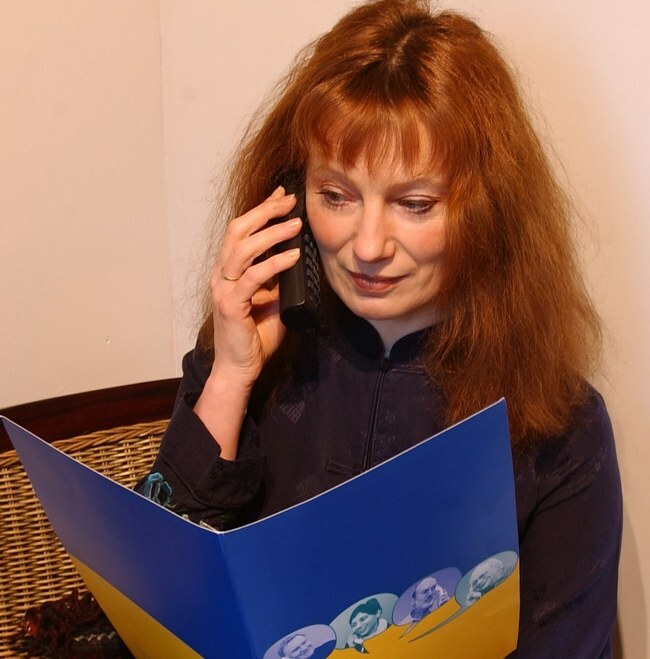 The aim of counselling is to provide the client with a more satisfying experience of life. Everyone has different needs, so counselling can be concerned with many different aspects of a person’s life. The scope and nature of counselling keeps changing, and job opportunities keep changing -It is a certainty that some of the best opportunities you will find after graduating, have probably not even been conceived at the time you commence your study. This is the nature of today's world! The engaging world of the human psyche is thrown open in this deep and intriguing ebook. Multiple case studies help the reader explore this fascinating subject in depth. 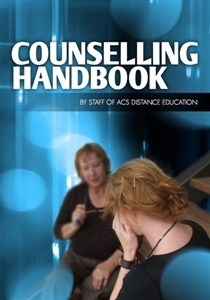 Counselling Handbook eBook course online. Full of interesting case studies, this ebook is a wonderful introduction to the complex world of the human psyche. Expand your mind and learn about what makes people tick. Are you a good listener? Hone your skills by learning popular counselling theories and techniques. (and many more such things that may not make sense now but will by the end of the book). 1. Where can counselling be used? 2. How to see behind the mask. 4. How to communicate better when all you have is words. 7. Golden rules or tips. We don’t know for sure how much of our communication is non-verbal. Estimates vary from 50% to the 80%. Non-verbal communication becomes more significant, the more mixed the messages are. So if a person is saying one thing, but their body is saying something else, we will tend to pay more attention to what their body is saying to us. Most of us are aware that this is a sign of attempted deception. Meharabian (1971) carried out a study to see how people decide if they like each other. They looked at facial expressions and spoken words. Participants had to listen to a recording of a female saying one word “maybe” in three tones of voice – neutral, like and dislike. The subjects were then shown photographs of a female face with three expressions – neutral, like and dislike. They were asked to guess which emotion the person in the photograph, the person on the recording and both together were experiencing. The participants were more accurate in guessing the emotion of the photographs than the voice at a ratio of 3:2. Meharabian also carried out another study where participants had to listen to nine words. Three showed liking (dear, thanks, honey), three showed disliking (brute, terrible, don’t) and three showed neutrality (oh, maybe, really). The words were spoken in different tones. The participants were asked to guess the emotions behind the words. They found that tone carried more meaning than the word. ■Without seeing and hearing non-verbal messages, there can be more chance of misunderstanding. ■A lot of communication does come through non-verbal communication, but we are still unsure as to the exact amount. ■When we are not sure about a particular word, we pay more attention to non-verbal communication. ■When we do not trust a person, we pay more attention to non-verbal communication. ■Clusters of factors (showing more signs of non-verbal communication). ■Non-verbal behaviour at the time a question is asked, particularly if the question is embarrassing or difficult. ■Situations where the other person may not be trying to control their non-verbal behaviour. As we said above, it is important to consider your own non-verbal communication. BUT not to such an extent that you try to control it all the time, which can make it appear false or give mixed messages from you. Course Duration and Deadlines 600 hours approx. Course hours given are a guide only. Work at your own pace with no assignment deadlines or completion date. You are in control!